If you’re running out of storage space on your Android device, you might want to check your WhatsApp folder. Chances are you’ll find it full of images you don’t care to keep, like memes, cheerful greeting cards and screenshots. Those pictures can quickly add up and deleting them manually is a bore. Instead, give Magic Cleaner for WhatsApp a go. 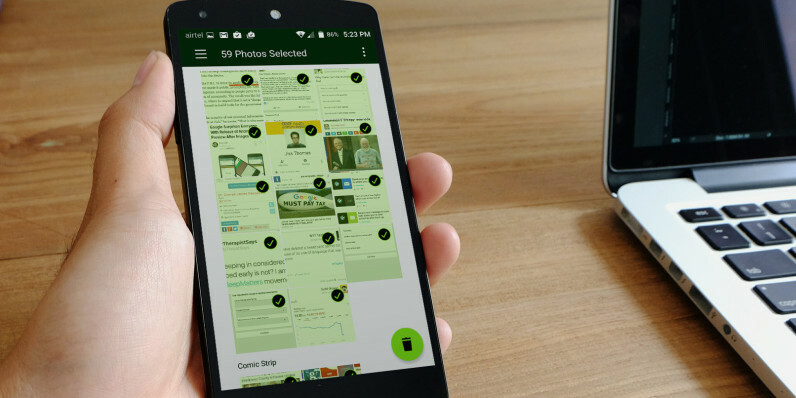 This free app from Indian startup Siftr, which hosts portfolio websites that automatically update themselves, uses deep learning to accurately identify useless images. It then groups them into categories so you can quickly review and delete them. That does mean it needs to send your images into the cloud for analysis – but thankfully, it takes only a few seconds to return the results. I found the app to be deadly accurate – it filtered out pictures I’d received from friends and surfaced all the annoying images I’d received in group chats. One tap later, they were all gone. You can only delete a limited number of images at once, after which the app closes shop for the day. If you’d like to remove more of them, you’ll need to invite a friend to try Magic Cleaner. It’s a small price to pay for getting back your precious local memory.